Can’t close or open the rollup garage door in Edmonton? Trouble with the roll up door opener? Want a new rollup? Come to us no matter what you need. We are experienced techs and provide repair, maintenance, replacement, and installation services in Edmonton, Alberta. Call us to repair problems with your roll up garage door. Need to replace parts? Looking for experts in troubleshooting? We are the team to help in any situation. We move fast when our customers need local roll up garage door repair. The door might not close right or open all the way. There might be a problem with the spring. There might be opener complications. The guides might be bent. Trust us to fix up the door. Our techs come prepared to troubleshoot and repair the door in one visit. No matter which brand you own, you can rely on our roll up door service. Get in touch with us if you want an estimate for roll up garage door installation. We offer competitive door and service prices. Our pro can make suggestions in regard to materials and opener features. Irrespective of what you select, rely on our expertise. We have a long experience in roll up garage door replacement and have the skills to install all models. Our team is also here for roll up garage door maintenance. Call us to service your door once a year. It will make a great difference to the way it performs. It will also last longer and won’t give you any trouble. 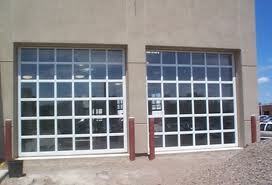 When it comes to such systems, trust Garage Doors Edmonton. All pros from our company are trained, updated, and certified. We always show up with full equipment stocked in our vans to ensure the service is done correctly. Our team can provide you with the best rollup doors available on the market today and install them accurately. We are prompt when you need repairs and can handle any problem. Contact our repairmen today for Edmonton rollup garage door services.